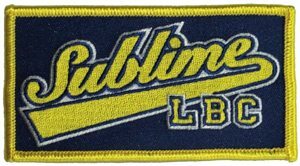 Sublime LBC logo patch. Embroidered patches can be ironed on or sewn on. Officially licensed Sublime merchandise.